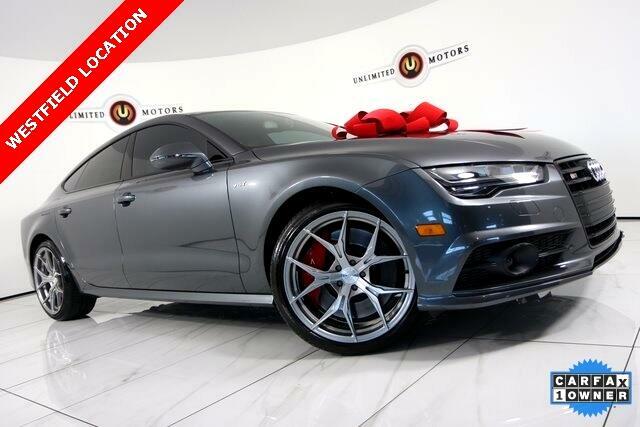 Navigation, Back Up Camera, Bluetooth, Sun/Moon Roof, Heated Seats, S7 4.0T Premium Plus quattro, 4D Hatchback, 4.0L V8 Turbocharged DOHC 32V ULEV II 450hp, 7-Speed Automatic S tronic, quattro. CARFAX One-Owner. Priced below KBB Fair Purchase Price! Odometer is 1540 miles below market average! Message: Thought you might be interested in this 2018 Audi S7.